Inside Sales vs Outside Sales | The Sales Evangelist! TSE 021: Should I Do Inside Sales vs. Outside Sales? 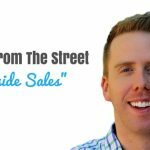 Home » TSE Podcast Post Page » TSE 021: Should I Do Inside Sales vs. Outside Sales? I recently was sent this info graphic by a friend of mine and I wanted to share it and offer some of my thoughts. This is a great info graphic done by Sales Loft, and they did a pretty good job. I have had the opportunity to serve both as an inside sales and outside representative. 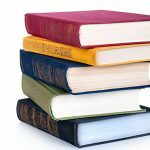 Both have their benefits, but depending on the organization, product and the individual, they can work very successfully. One of the companies I worked for brought me in as an inside sales representative with the promise that if I perform well, I will be promoted to outside sales. In this company, inside sales was more like the telemarketers. Our sole purpose in life was to find opportunities and serve the outside sales representatives. Mind you, not all organizations are like this. In some organizations the responsibilities are the same, except for the fact that one travels. We had a base salary and gained a small commission from the opportunities we generated which depended on if the outside sales representatives closed. At times this was frustrating because you are depending on someone else’s ability to close “your deals”. At first I thought inside sales had the short end of the stick, but I quickly learned an invaluable secret. I am sure you have heard the saying “Give a man a fish, he’ll eat for a day; teach him how to fish, and he’ll eat for a lifetime”? Well, that is essentially what happened when I was promoted to become an outside sales representative . I already KNEW all the right ways to find and developed opportunities with prospects. I did not rely on inside sales to feed my pipeline. I was able to see success over many of my counterparts and eventually out performed them. Inside sales taught me “how to fish” so I never went hungry. If you have an opinion on inside sales vs. outside sales, please share. Thanks!